· This hands free lead is ideally suitable for Sports Loving Pet Owners. · You can walk the dog by your hands or waist. · The lock clasp is designed for easy installation and dismounting. · Ideal for jogging, cycling, walking etc. · High quality material and painting metal buckle, softy mat of handle, rope safety strong tensile and durable used mightiness leash. 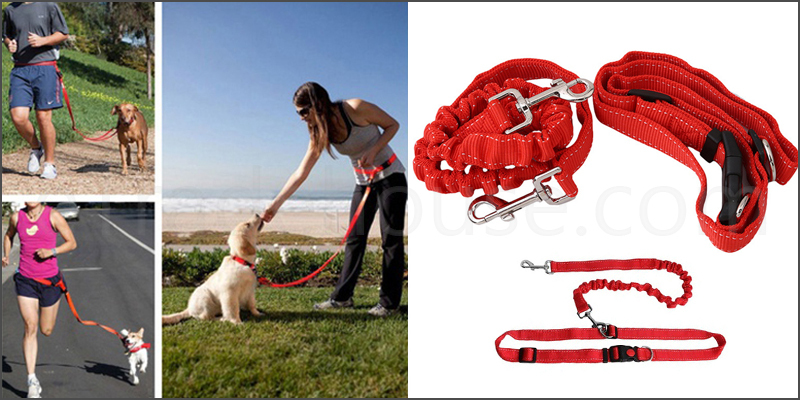 · Comfortable hands-free running leash with quick release and reconnect. · Ideal for running, walking and hiking with small or large dogs.